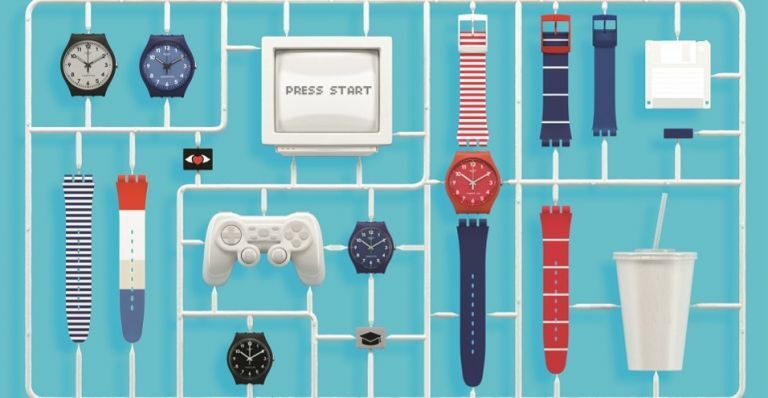 Swiss watchmaker Swatch has just launched a brand new program that enables you to design and build your very own, unique Swatch X creation. The Swatch X You Concept offers the chance to create a signature Swatch in just five easy steps either online or in-store. Featuring pre-designed watch heads, straps, loops and pins, the process makes watchmaking a snap. First, select a Gent or New Gent case size, followed by a watch head. Next, choose both sections of the silicone strap at 12 o’clock and 6 o’clock - from solid mint green to racy red stripes, there’s an option to tickle every fancy. Finish off each unique look with a loop. Add a pin or an extra loop; with images including a birthday cake, flying heart and wedding bands, favorite events are all covered, making Swatch X You the perfect personalized gift. Head on over to the Swatch shop to start designing yours today. Prices start from £41.50. Outdoor-wear makers Canada Goose and October’s Very Own (OVO) join forces to launch their second spring collaboration, one that's designed to perform superbly through inclement weather while looking ultra fashionable. Hot off the heels of both Toronto-born success stories’ sixth collaboration last fall, Canada Goose and OVO are proud to announce The Timber Shell X OVO ($895) for men. This high-performance rain shell brings together OVO’s distinct design aesthetic with Canada Goose’s technical know-how with fully seam-sealed waterproof fabrication and extreme breathability. The Timber Shell X OVO shines when the sun goes down thanks to reflective strips that add visibility on pocket and zipper details as well as the arms and back. It also has a three way adjustable hood for superior protection in high-wind conditions. Shop the limited-edition collection at Canada Goose retail locations in Toronto and New York, or online at www.canadagoose.com. TomTom Road Trips is a free website offering drivers Road Trip inspiration. You can pick and choose from a selection of 90 of the best road trip routes in the world. So whether you’re looking to drive down the the stunning Amalfi Coast, the famous Route 66, or stay local and see the Scottish highlands TomTom Road Trips gives you the opportunity to create the road trip of a lifetime. You can even personalise the route by choosing your start and finish point. Can’t decide where to go? Take the quiz and select what you’re looking for and it will bring up suggestions. Whether you would prefer a windy mountain road, an epic adventure, a historical trip, a forest/woodland area or a traditional coastal road, TomTom Road Trips will bring up the best options from either the UK and Ireland or other countries depending on your preference. Once you have selected your road trip of a lifetime you have the option to either sync the route instantly to a TomTom sat nav or export as GPX for most other brands. So head on over to TomTom.com and start planning your new adventure today!